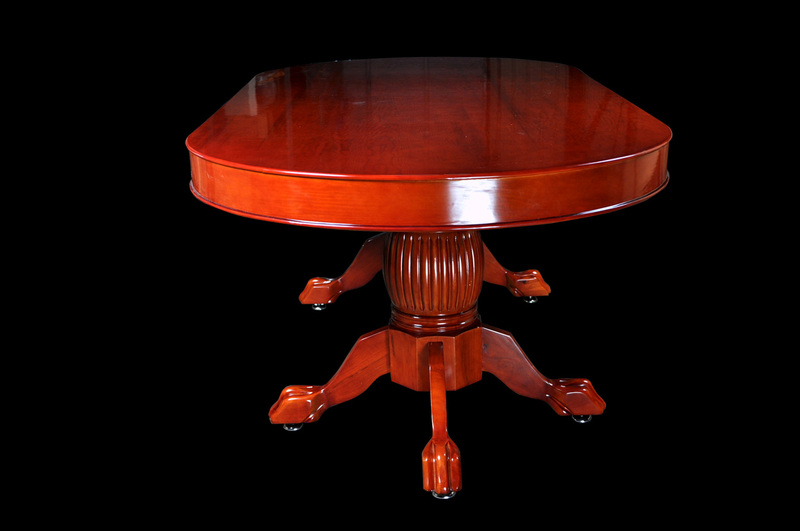 Rockwell tables have been upgraded with a new design pedestal legs with crisp, smooth lines. 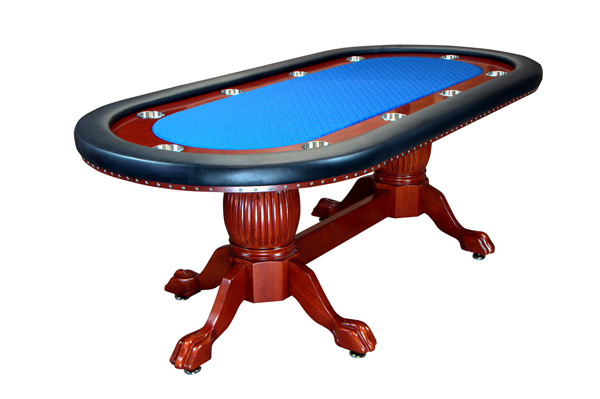 The table surface has also been given a materials upgrade and subtle facelift. 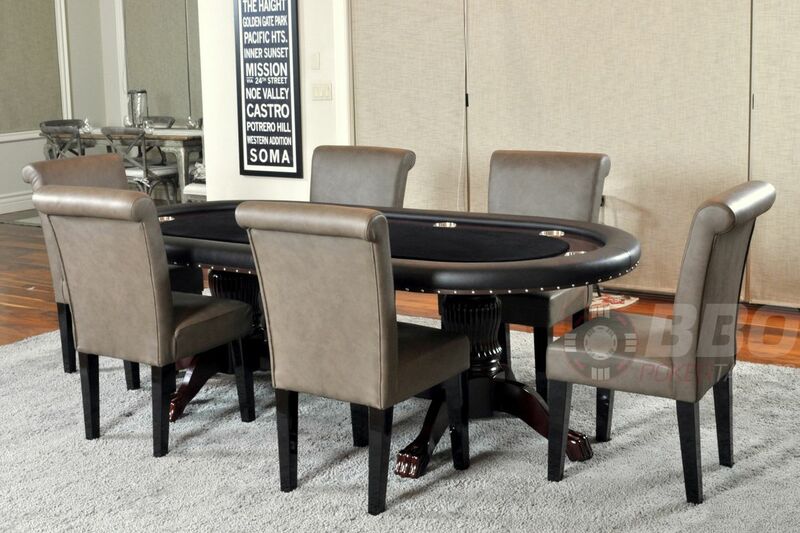 Looking for a classic and timeless poker table? Allow us to present, The Rockwell. 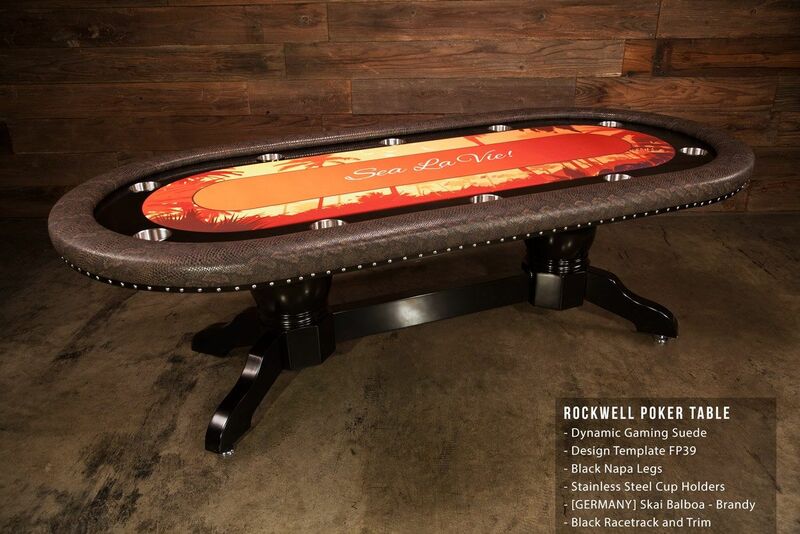 Like the right bottle of wine or perfect pour of scotch, the Rockwell offers a welcomed and familiar vehicle for the perfect poker evening. 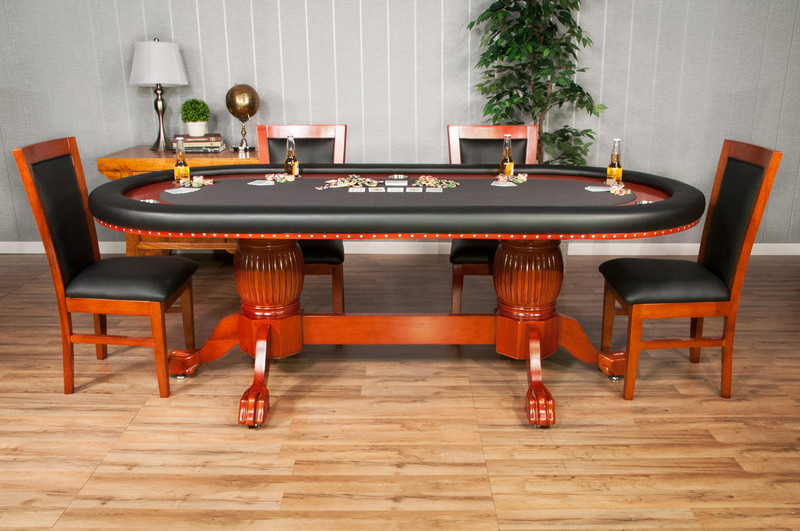 Pair it with a matching dining top, and it's the perfect Trojan Horse to sneak a high end poker table into your dining room! The Rockwell features solid oak pedestal legs and 5in racetrack, finished in a mahogany gloss. The 5 inch armrests are wrapped in premium sponge and heavy duty, premium leather vinyl. 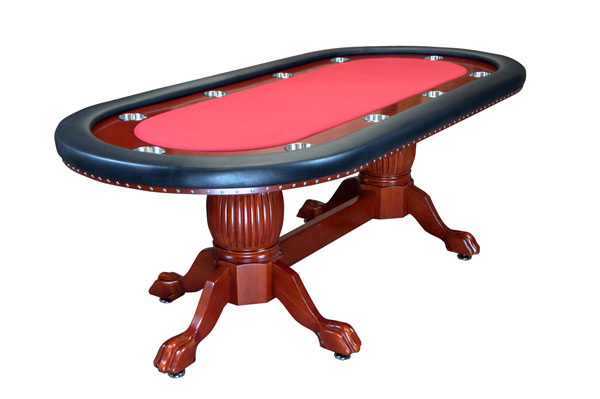 The playing surface is removable and easily upgradable for anyone with a staple gun. 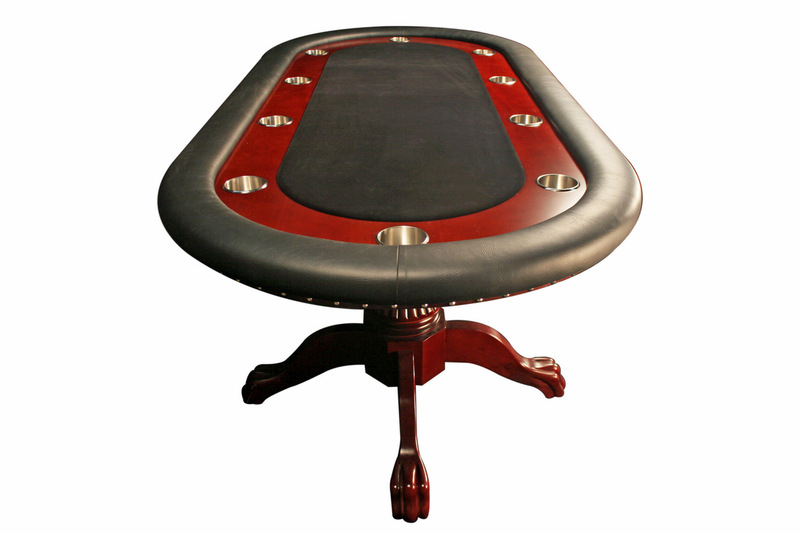 The Rockwell's classic design ensures that your players never get tired of looking at it (looking at it and losing at it are two different things). Matching chairs and dining top are available to complete the dining configuration of the Rockwell.